Nanay's Trip My Journey and Joys Nanay's Trip Nanay's Trip Review: One bottle of Nutri10 Plus, DOWN! Rio’s Appetite,UP! 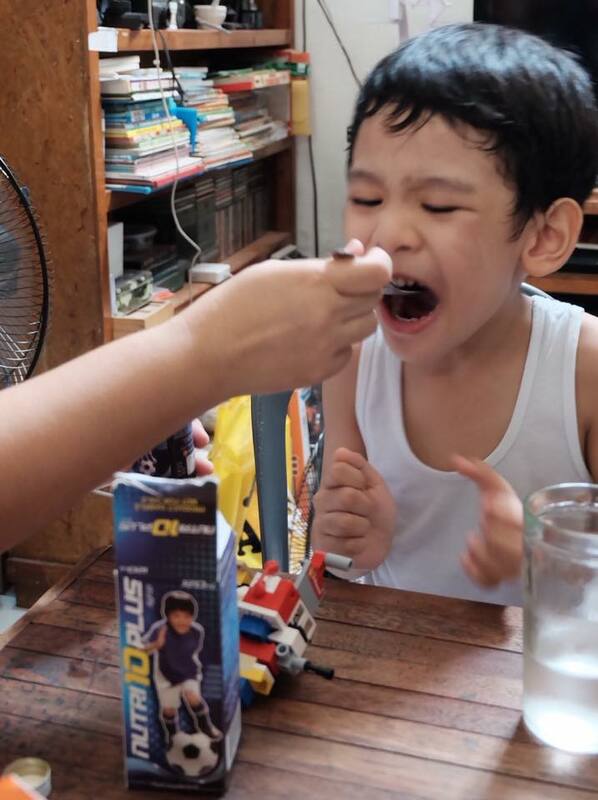 Nanay's Trip Review: One bottle of Nutri10 Plus, DOWN! Rio’s Appetite,UP! I remember my pediatrician friend's advice that it's okay to regularly change Rio's vitamins or food supplement. As expected, the loyal consumer in me ignored a doctor's advice and stuck to the brand we have been taking for more than two years. Friends always notice how my five-year old son is tall for his age. They also do not fail to mention how skinny he is and ask if he still drinks milk and what vitamins does he take. "Tangkad ni Rio pero bakit ang payat," they would always say. We were also starting to worry so we asked our pediatrician during our last visit. 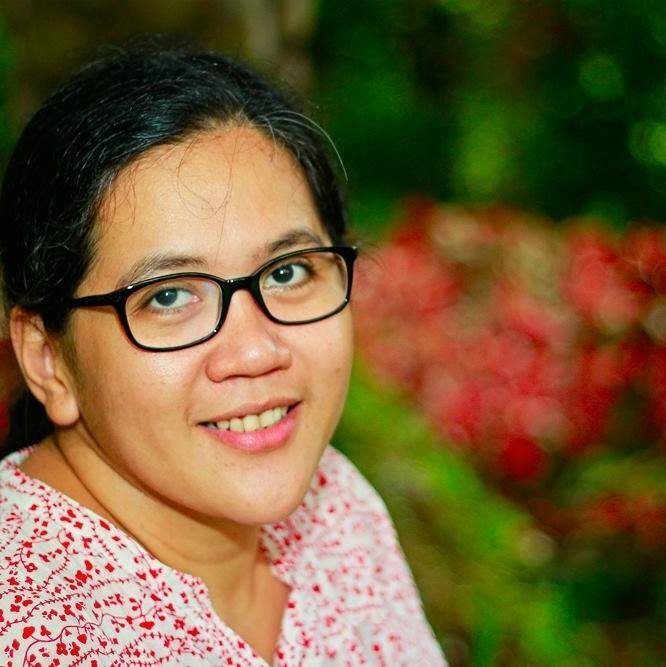 "Bakit po kaya payat ang anak namin?" We were relieved when she said that our son was within the normal weight range for his age. She was also happy that we do not visit her often which means our growing boy remains strong and healthy. She also said that we try to change the food supplement that Rio takes and observe if his appetite improves. A slight increase in his weight will be good for our little boy's daily activities. Finally, change has come! We decided try a new brand of food supplement. I was even glad to try Nutri10 Plus with my fellow bloggers who are also hands-on mothers especially when it comes to their children’s health. One bottle of Nutri10 Plus, DOWN! Rio’s Appetite, UP! The shift to Nutri10 Plus was not easy for our preschooler. He got used to the taste of his old vitamins so it was hard to convince him that this new food supplement also tastes good. Good thing, the ponkan flavor which is almost the same as his other vitamins made him accept the necessary shift. 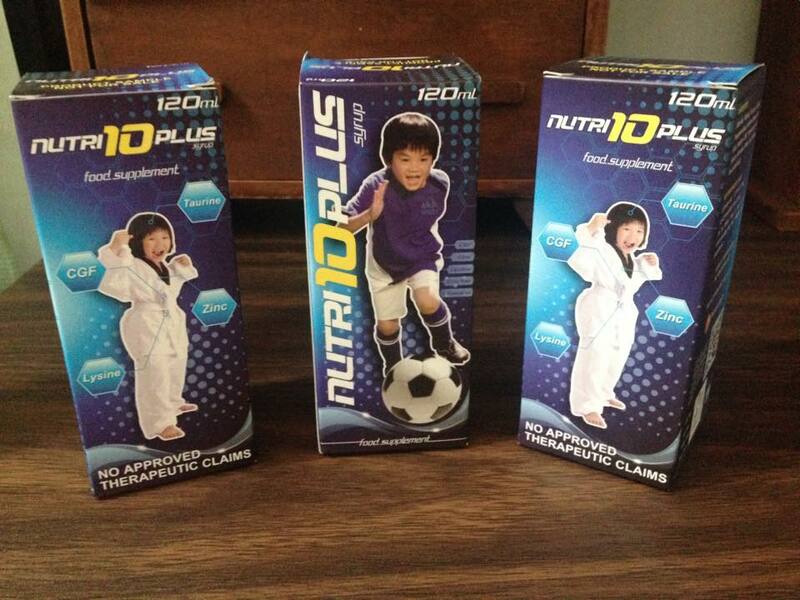 We are now in our second bottle of Nutri 10 Plus and we have observed a gradual increase in our boy’s appetite. This may have not translated to a significant weight gain for our boy but we are happy to see him eat two big pan de sals for breakfast and ask for more snacks within the day. We are also grateful that our son had only a short bout with colds these past weeks. 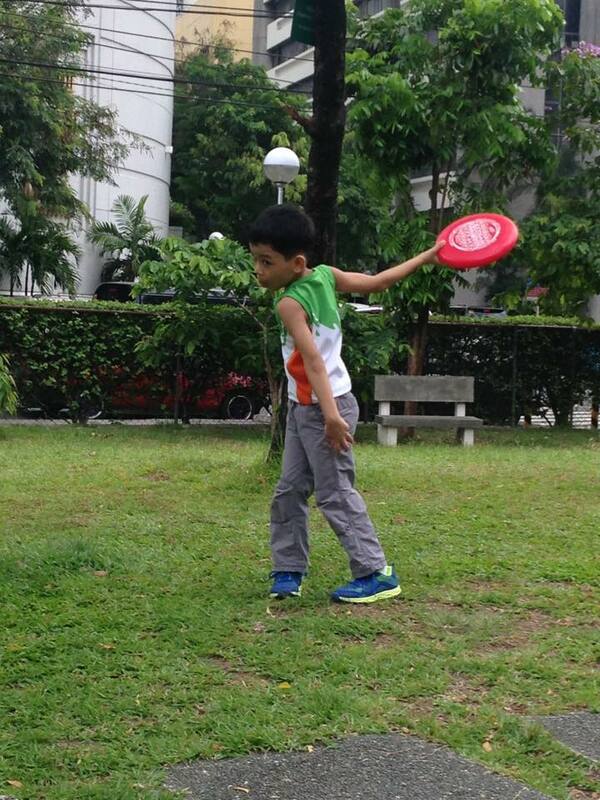 Despite the unpredictable weather, he stayed healthy and active. So far, so good! 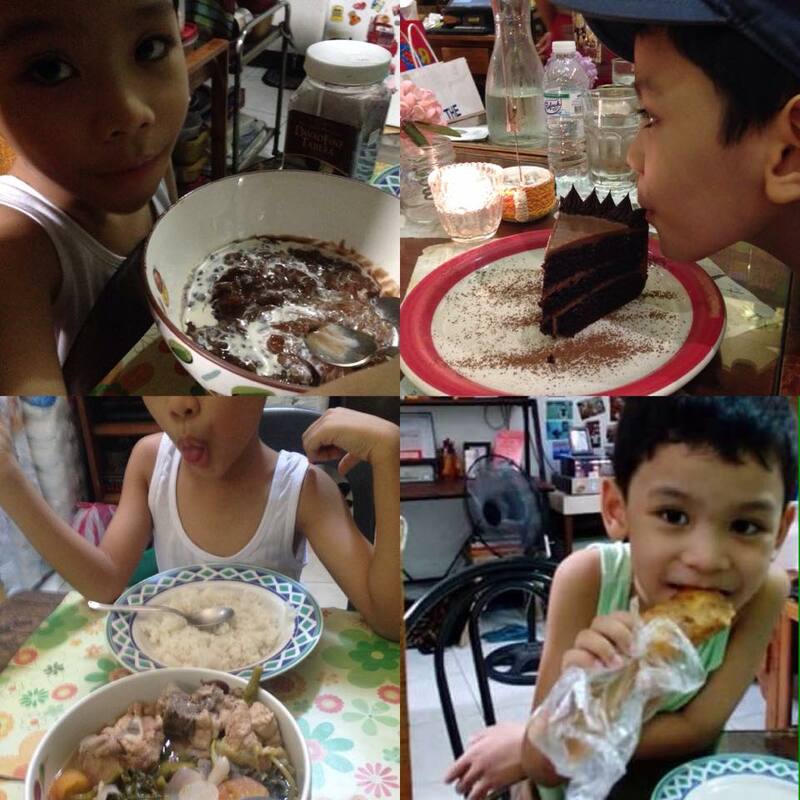 More food, more immunity boost and we will stick with Nutri 10 Plus! My name is Varsha Chaudhary and I work for the Healthy Moms Magazine, the number one health blog for moms. We have been around since 2007 and have a huge fan base and following. The Healthy Moms Magazine is expecting to grow tremendously this year. I am a fan of your blog and would be honored if you partnered with us. I offer several different ways we could partner and both of us would benefit. Answer a few questions and a represetative from our site will compose a complete blog post introducing you and your blog to our +41K readers. All we request in return is that you link back to your interview on our site. Participate in a guest post exchange with our founder, Cascia Talbert. You submit an original article for us to publish and in return I will send you an original article, written by Ms. Talbert for you to publish on your site. Visit: http://healthymomsmagazine.net/guest-posting to learn more. Become a regular contributor to the Healthy Moms Magazine. We are looking for professional writers, bloggers, and health, fitness and parenting experts to join our team. Visit: http://healthymomsmagazine.net/write-for-us to learn more.